Welcome to Flawed yet Functional! 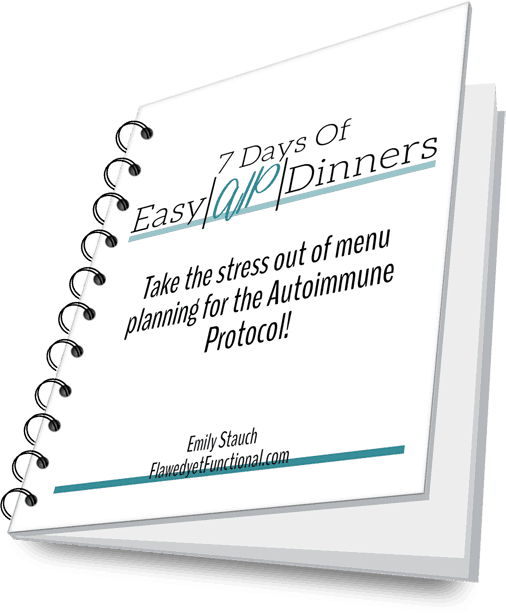 I am a Type 1 Diabetic, AVM survivor, and an overly-driven lady who’s always looking to find non-medicinal ways to heal her body. In other words, I’m always on the look-out for how food, sleep, or good routines can improve health. 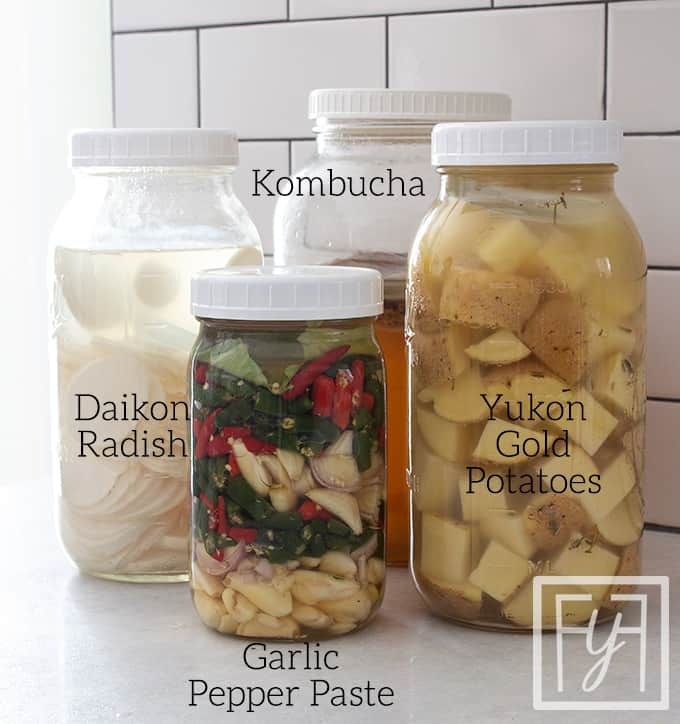 Today I’d like to show you “our” (meaning Dan’s) newest obsession: fermenting foods to heal the gut. The bottom line is to help my gut heal by feeding it good bacteria, and then once it’s healed, keep it healthy! Dan’s been doing a lot of reading on the benefits of eating fermented foods (check out these articles: 1, 2, video), and it looks too good not to try (and too tasty!). We’ve currently got four different items fermenting with different goals for each. The first thing we made was kombucha which is fermented green or black tea. Ours happens to be green, but I hear that they both taste about the same. The ultimate goal is to have enough kombucha on hand for me to drink a few ounces every day to help keep my gut healthy. There’s only one problem: our scoby is eating the sugar super slowly. It might be the temperature in our house (read: we are cheap and don’t turn the heat up! ), or the shock of the scoby in new tea, or some other reason we haven’t discovered! So this grand idea has yet to come to fruition. We’ve only been tasting samples, and we’ve been allowing it to ferment for at least a month. We’ve got a lot to learn in the kombucha-making world! I hear what you’re thinking! Aren’t you supposed to be avoiding potatoes because they are inflammatory? Well, yes, sort of. I do eat sweet potatoes like they are my job, but Dan really wanted to try regular potatoes because he’s read that the real way to make oven fries is to ferment the potatoes first. Fermenting the potatoes allows for a tight skin and soft inside of the potato. He wasn’t wrong. These are fantastic. Hands down the best baked oven fries I’ve ever had! Some research suggests yellow or purple potatoes actually help to lower inflammation (source). To be honest, we took that nugget of hopeful truth and ran with it. We’ve found that my blood sugar does not dramatically increase when I eat these fermented potatoes. Score! The fermentation process also takes a bunch of the starch out of the potatoes which I’m sure helps the carbohydrate count and its affect on my blood sugar. I make sure not to go overboard in my serving size (I eat about 1/3 cup), but this is one mighty delicious way to eat fermented food! The goal for the potatoes is to eat with dinner as desired, once per week max. If we begin to notice an adverse blood sugar effect, we’ll discontinue this one. This is actually our first go round fermenting this radish. Pickled radish is very common on the Korean table, and I know I love pickled radish, so I’m hoping this to be equally delicious. Also, kimchi is high on my list of favorite foods, so while this isn’t spicy, I’m hoping it’s every bit as delicious. I’ll let you know! The goal for the daikon radishes is to find a way for me to have femented food every day. Since the kombucha is taking forever, we decided to give these radishes a whirl. Ideally, I will eat some of this with one meal a day or cycle between other fermented foods to get that one serving a day in. Also known as garlic with a bit of spicy peppers! There is SO MUCH garlic in this jar! Dan has made one batch of fermented hot sauce, and this one is trying to mimic a store-bought paste that was simply called “Chilis with minced garlic.” Done. We will try that! We used Thai chilis and garlic, that’s it! Since nightshades aren’t in my diet, I won’t be eating this, but I thought the jar too pretty not to share! Fermenting is turning into a fun new hobby for us that will hopefully return some good health benefits too. Since we are still at the beginning stages, I don’t have results or good recipes to share, but I should in a month or two! Woot! 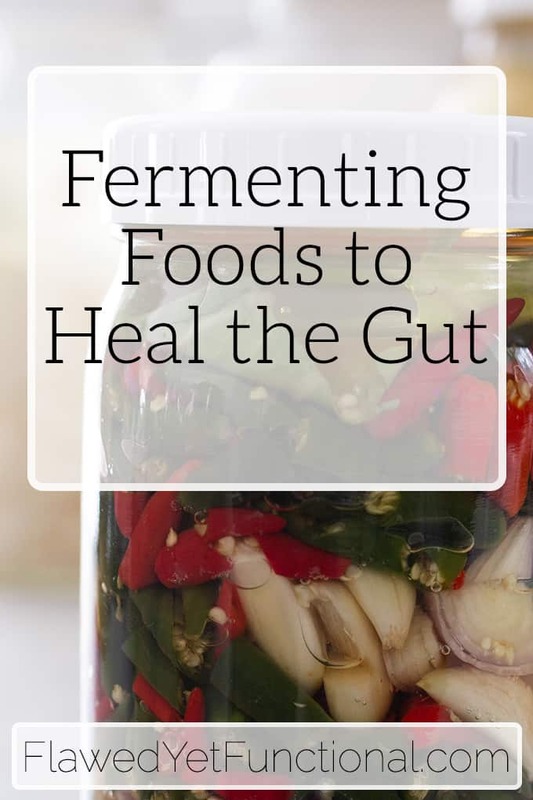 This experiment with fermenting foods to heal the gut has lead to some delicious food and beautiful decor for my refrigerator! Better gut health is next! 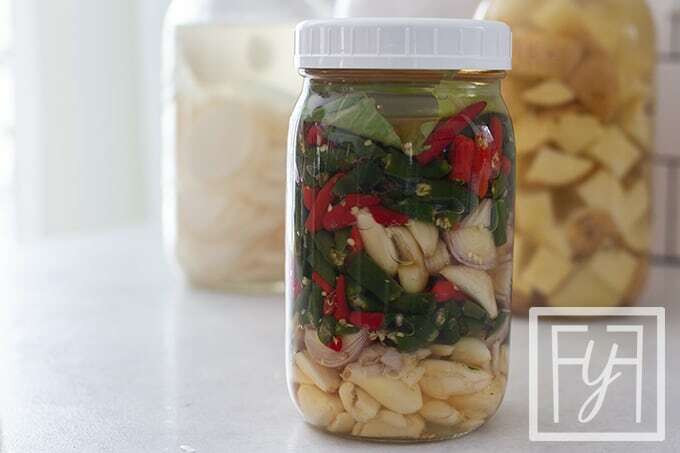 Do you ferment any foods? What is your favorite? Any other ideas why my kombucha is fermenting so slowly?